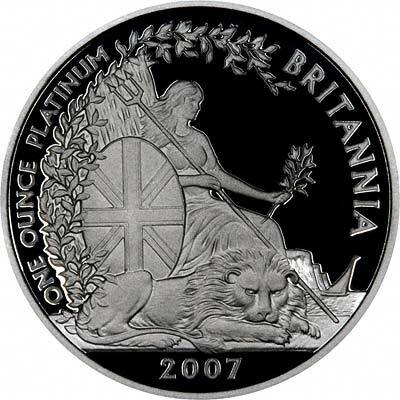 In 2007 the UK issued it's first platinum britannia proof collection. Twenty years ago the first Britannia gold bullion coins were struck. Now you have the opportunity to add the latest minting of this highly desirable set in Proof quality to your own portfolio. This year the coins are struck for the first time in platinum and the collection comprises the denominations £100, £50, £20 and £10 coins, each adorned by artist Christopher Le Brun's brand new image of Britannia. In the year in which Britannia gold bullion coins celebrate their 20th anniversary, a beautiful new portrait has been created by Christopher Le Brun RA, and now features on the platinum coins of 2007. The 2007 Britannia Proof Four-Coin Collection is distinguished by a scintillating mirror finish achieved by painstaking polishing of the die using a fine diamond paste. This forms the perfect backdrop for Britannia, rendered expertly in frosted relief by engravers at the Royal Mint. Britannia has symbolised Britain and her proud island heritage since the time of Roman Emperor Hadrian (117-138 AD). Perhaps the Roman rulers were inspired by the example of Boadicea, the warrior queen of the Iceni people, whom they had defeated in 60/61 AD in pursuit of their conquest. 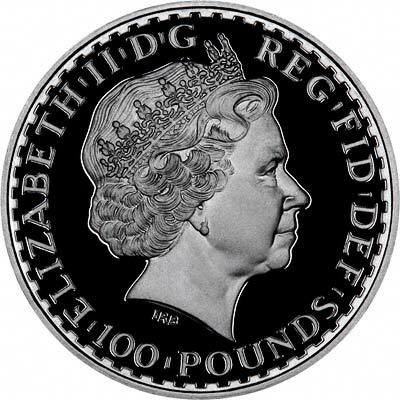 She first appeared on British currency in 1672, on the copper coins of Charles II. He used her as a political symbol of his war with the Dutch, though her olive branch represented a desire for peace above conflict. Usually but not always depicted seated, Britannia gazes steadfastly towards a future in which she may be challenged but never overcome. Her accoutrements include a trident, symbolic of her maritime prowess, and shield, emblazoned since Queen Victoria's reign with the Union Flag. In his new design for 2007, Royal Academician Christopher Le Brun RA has masterfully blended a traditional theme with a line at once modern and full of classical allusions.Accompanied by a vigilant lion at her feet, this Britannia presides over a coastal landscape of sheer cliffs and wind-ruffled sea on which a lone vessel's sail billows. Britannia Part 25 - The Euro?